Our Flavored Honey is not 100% natural, but it tastes so good we can’t help but say that it’s “the taste that makes bees jealous!” Available in eleven delicious flavors – try some today! 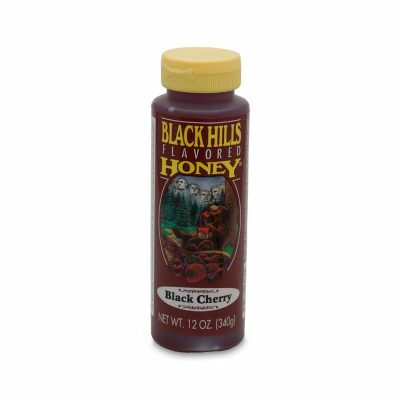 Black Hills Flavored Honey is blended and bottled at Black Hills Honey Farm. 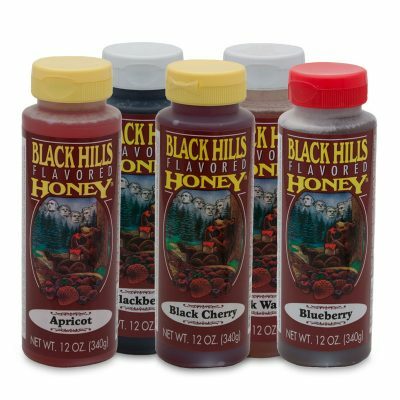 When we make our Flavored Honey, we start with nature’s finest natural sweetener – 100% pure South Dakota honey. Then we add only the finest flavorings to give you a unique taste that’s great on biscuits, toast, pancakes or as a topping on ice cream. While Black Hills Flavored Honey won’t ever spoil, it may crystallize at room temperature. If it crystallizes, place the bottle in warm water, but take care not to overheat. Apricot Flavored Honey is a delicious, unique, South Dakota-made, gourmet food that makes a great gift and can be part of a healthy daily diet. 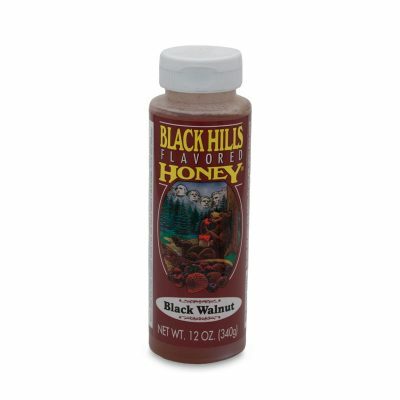 Black Walnut Flavored Honey is a delicious, unique, South Dakota-made, gourmet food that makes a great gift and can be part of a healthy daily diet. 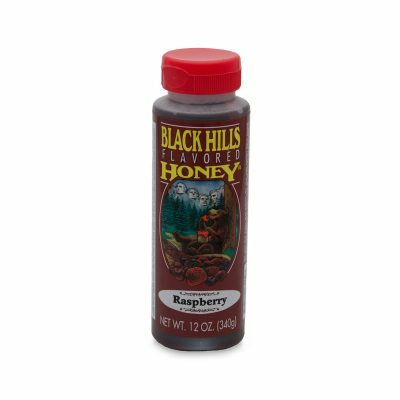 Blackberry Flavored Honey is a delicious, unique, South Dakota-made, gourmet food that makes a great gift and can be part of a healthy daily diet. Blueberry Flavored Honey is a delicious, unique, South Dakota-made, gourmet food that makes a great gift and can be part of a healthy daily diet. 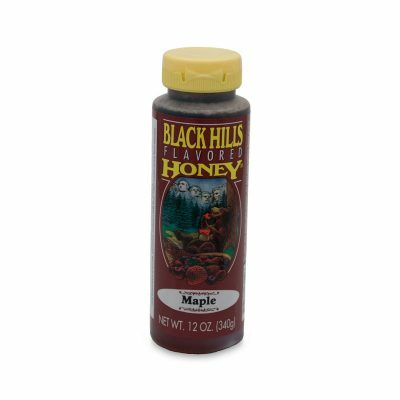 Maple Flavored Honey is a delicious, unique, South Dakota-made, gourmet food that makes a great gift and can be part of a healthy daily diet. Peach Flavored Honey is a delicious, unique, South Dakota-made, gourmet food that makes a great gift and can be part of a healthy daily diet. 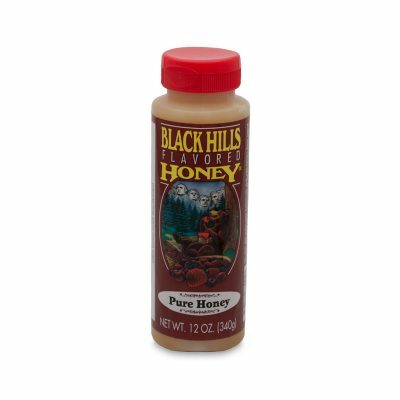 Pure Honey Flavored Honey is a delicious, unique, South Dakota-made, gourmet food that makes a great gift and can be part of a healthy daily diet. Strawberry Flavored Honey is a delicious, unique, South Dakota-made, gourmet food that makes a great gift and can be part of a healthy daily diet.